Joystick junkies put away your quarters and break out your fight sticks and fight pads for the recent release of Super Street Fighter IV. 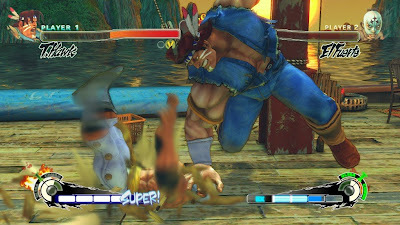 Capcom provided us with a review copy of the title, sucking me back into the franchise after already spending eighty plus hours on the original Street Fighter IV title, thanks, and hello broken controllers. The addition of the “Super” prefix to the title is just that, with ten new characters unlocked out of the box, so no more struggling for Akuma and Gouken. 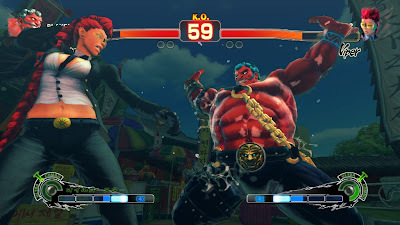 Along with the new fighters comes new ultra combos and new online play modes which include up to eight players competing in 2 vs. 2, 3 vs. 3, or 4 vs. 4 team elimination battles and an endless battle mode where players fight to keep from being eliminated while the winner competes until they lose, while spectators watch and comment on battle, it’s officially time for me to get a wireless headset. Here comes the new challenger! 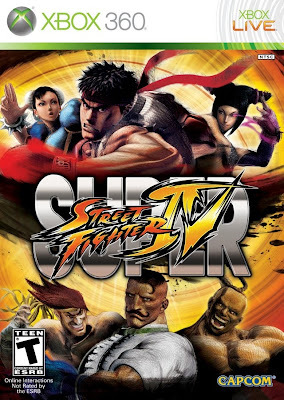 It’s the Street Fighter franchise we are talking about, and additional content on top of what’s available from the highest scored Metacritic title of 2009, so yeah, it is kind of a big deal. With the additional of both new and familiar faces, but Juri stands out the most as she is a new character bringing in the newest of fighting styles, Tae Kwon Do, which once familiar with it, is nice as most players online are unfamiliar with her moves. Also, the new online mode of 2 vs 2 up to 4 vs 4 bring a lot more entertainment to the table as you can watch others fight and get your chance work together to dominate other teams. Those that struggled with trying to unlock Akuma and Gouken without success will have all available fighters ready to use out of the box. I gladly welcome one of the two bonus rounds, I don’t know why but have always loved the car stage and glad it’s back. Since I said I praised the car stage, some may say what about the barrel stage? Well I put that here, but that is my preference since I am not a Ken or Ryu fan, that falls into the gripe section for me. My next issue which I feel is my biggest but only applies to those that had paid full price for Street Fighter IV at launch is that fact that a year ago we purchased the game for full price for essentially the same thing as this but without the additional characters and in order to experience what the “Super” entry has to offer is buying this new entry, luckily it isn’t the normal new release price of sixty dollars. 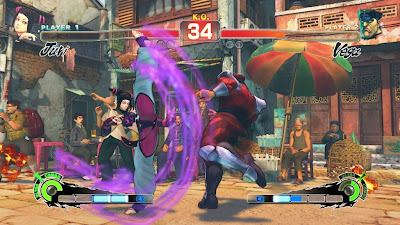 The online gameplay also has a bad side in which you will come across the spammer that either sits in the corner repeating the same move without using any of the moves or tactics that make this game or online play enjoyable, sure you can choose to block this player so you aren’t matched up with them again but it seems this title has a lot of them and if you are playing ranked matches this can truly be frustrating and take away from the gameplay. Overall, there is a lot of fun to be had in Super Street Fighter IV to keep you coming back for hours, especially being played online with a fight stick or fight pad making you feel like you are back in the arcade dropping in quarters and waiting in line to take on the next player in the arcade like you have something to prove. Though it is hard to justify picking this up if you already own Street Fighter IV, if you enjoyed it and put in the hours and days into Street Fighter titles past like I have, this in my opinion is worth adding to the collection. 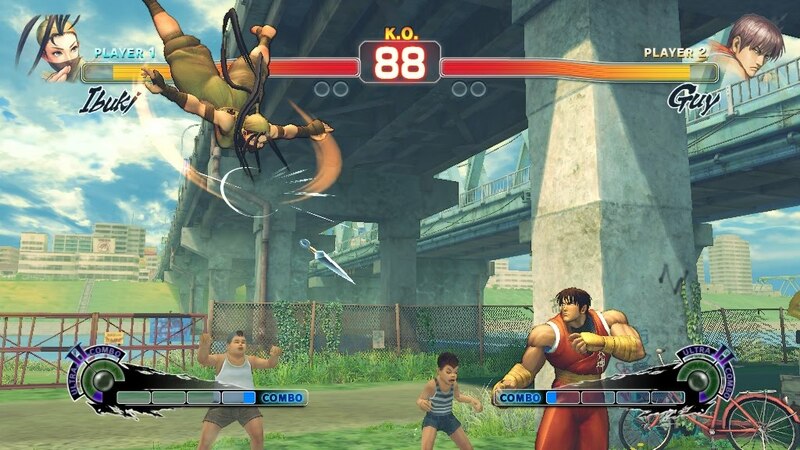 Mashbuttons.com gives Super Street Fighter IV a 9 out of 10 for those yet to purchase Street Fighter IV and a 7 out of ten for those that already own a copy. 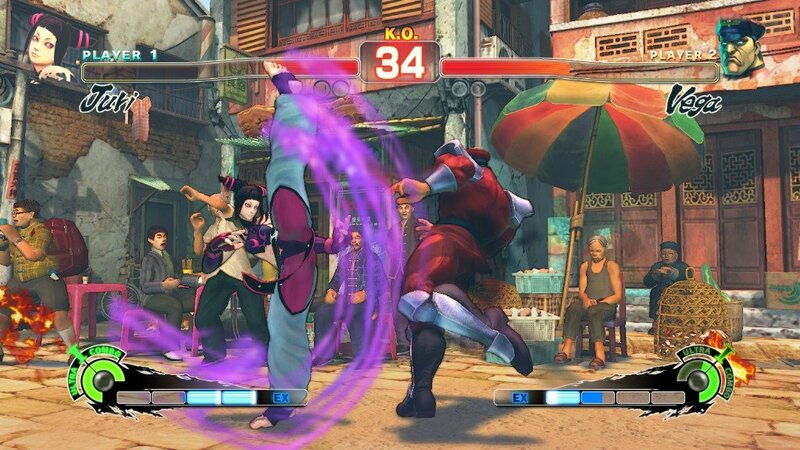 Super Street Fighter IV is available now for the Xbox 360 and PlayStation 3.